I’m sure most of you are too stoned to see your calendar, but today is 4/20! The day when folk around the world have an excuse to smoke that gram of pathetic-looking weed they’ve been hiding all year. And the cops don’t mind! I expect. But what is marijuana? Why is marijuana? Where the hell did I hide my sativa stash? The UK government banned weed during World War II as the baked British public weren’t taking the war seriously enough. 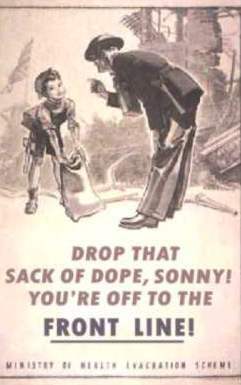 The famous poster campaign “Put That Spliff Out!” encouraged the mashed-up masses go out and kill some bloody Nazis, rather than giggling and wavy dancing whenever the air raid sirens went off. It feels happy. Oh yes, happy flavours. All day. Flavours of electric panda is what I need soon. Butter. Then in numb, fingers across the breeze like sausages with fingers, burning sofa with matches. I imagine fun? Yes, so. Then afraid. Time to go under the table, my Lord. Police sirens. Oh! Bad flashing lights, policemans. Policemans with sausage fingers. Are sofa on fire? Happy dancing fire. Peanut butter, potato chips hungry. Chinese open at this hour? May soon find out. Who is May Soon? Rice Crispies. Lol. …You see? Pot is perfectly harmless and then sausages. 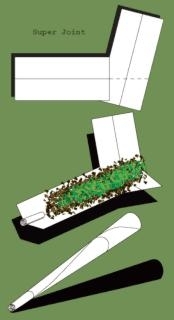 You could spend several hours pretending you know how to roll a joint. Then spend another hour on your hands and knees extracting spilled bud fragments from the carpet. It’s a pitiful sight, so I suggest befriending an expert stoner to roll joints for you (look in the Yellow Pages under “IT Professionals”). Another method, most popular at 1:30 in the morning, is to make hash brownies. Simply mix the contents of your fridge with 5 grams of leaf and heat at HIGH (obviously) in the microwave for four minutes. Top with icing sugar and consume charred mess before the fire trucks arrive. A delicious treat for 4/20 day! Festivities will soon be over as 4/21 approaches, so hide your hot knives. Hopefully the effects will wear off before you are back at work driving trains or performing microneural surgery tomorrow. Hi Dee, I translated the scripture from an early Greek manuscript, so I assume it was pretty close. I’m dyin’ here. (But I had to ask my boyfriend many things. sigh) When I was 12 and worshiping my older brothers, they employed me as their official party joint roller (and Annie Green Springs wine bottle gather-upper). I got to fall in love with all of their friends while I neatly rolled ’em joints, fat or skinny, because I aimed to please. Hilarious post Tiggy! hope you had a happy 420 too. Reminds me of my college days when a female friend (knew nothing about pot but trying to impress the guys) made hash brownies. I guess she put too much in as we were all REALLY sick. Did’nt put me off pot but I’ve not touched a brownie since!! Oh, crap, this is the funniest thing I’ve ever read. Seriously. I forgot all about 4/20 day–damn! Your description of writing while high makes me wonder about posting while on Vicodin. Hmmm. And now I’m hungry for barbecued goat. Bar-B-Q goat and Viocodin. Sounds like good party food. LMAO!! Love the WW2 poster,that poor kid! Lock Up Your Bunnies - Rabbit Ripper on the Loose!